A father’s hopes for treating his young son with cannabidiol went down with the South Dakota Medical Cannabis bill not making it past the House. 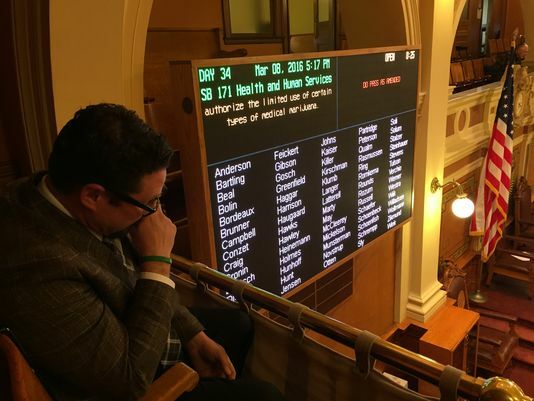 This post from Argus Leader reports how South Dakota House defeated the medical cannabis bill that would have brought relief to patients of extreme seizure disorder. George Hendrickson clasped his hands and peered down at lawmakers as they cast their votes on the House floor. He turned his gaze to the left, to the results of a vote on a medical marijuana bill that he hoped could provide relief for his three year old Eliyah, who suffers from multiple seizures a day. As the board lit up, mostly in red, Hendrickson’s eyes teared up and his shoulders fell. “That’s our state,” he said as he looked at the 25-43 vote. 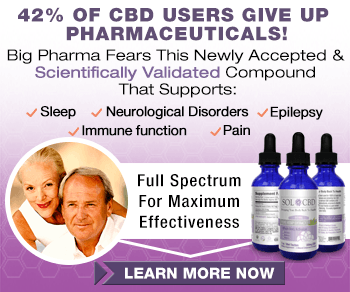 After it made an unexpected journey through the Senate, House lawmakers defeated a bill Tuesday that would have allowed people with seizure disorders to legally possess and use cannabidiol, a marijuana derivative. The measure had previously passed out of the Senate on a 20-15 vote and Gov. Dennis he hadn’t thoroughly vetted the measure, but could support Senate Bill 171 if it arrived on his desk. Hendrickson said he ran out of hope Tuesday evening. He said he was offended that lawmakers would suggest he uproot his family and move to another state and scared that his son might not make it another year. The bill’s opponents suggested that the Legislature wait to legalize the drug until the U.S. Food and Drug Administration (FDA) proved it is safe. Hendrickson’s son has Dravet Syndrome, which causes the seizures. And having cannabidiol oil to help treat his seizures could make life much better for Eliyah and for their family, Hendrickson said. The bill’s supporters on the floor said South Dakota should become the 40th state to allow residents with seizure disorders to access the drug that doesn’t create the sensation of being high to help them manage their symptoms, while opponents said the body shouldn’t pass the bill as possession and use of marijuana remain criminal offenses at the state and federal level. Rep. Karen Soli, D-Sioux Falls, said the bill would benefit families that deal with extreme seizure disorders. She opposed the statement from other lawmakers that the Legislature should wait to legalize cannabidiol. Opponents said the state should wait to legislate the drug until the FDA cleared it and doctors could safely prescribe it to patients. Rep. Kristin Conzet, R-Rapid City said in the meantime, those with seizure disorders should consider moving to a state that currently allows legal access.